Although there is now a large body of research into the nature and treatment of stuttering, little is understood about its underlying mechanisms. As a result until now there has been no comprehensive review of the numerous theories and models that have been proposed to explain stuttering. 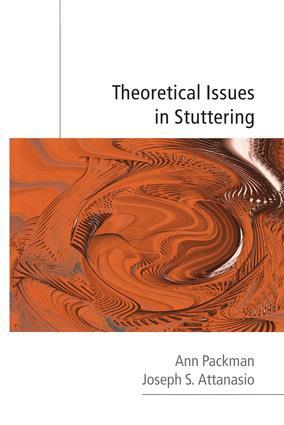 Theoretical Issues in Stuttering provides a comprehensive account of the contribution of theory to understanding and managing stuttering. It covers an impressive range of topics including a description of both past and current theories of stuttering, placing each within the relevant historical context. In addition, the authors evaluate the explanatory power of such models and provide a detailed exploration of the implications of these models for the practitioner. Theoretical Issues in Stuttering aims to fill a gap in the literature on the subject of stuttering theory and to act as an invaluable resource for speech-language pathologists, lecturers and advanced students of speech and language pathology. What should a theory of stuttering explain?